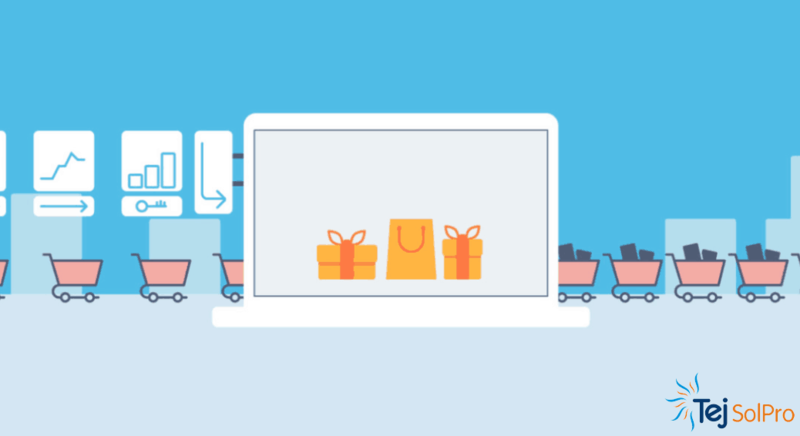 Succeeding at ecommerce in a competitive ecosystem is not an easy task. As leaner and more efficient players keep entering the landscape, attracting customers to your online store becomes increasingly challenging. According to research by Forrester, the share of ecommerce in total retail sales will grow from 13% at present to 17% by 2022. Such growth will only intensify the problem of discovery for online stores. Before moving ahead with SEO-focused web copy and content marketing, conducting thorough keyword research is essential. Keyword research can save you from committing costly mistakes and ensure high-quality traffic as well as high conversion rates. While performing keyword research for ecommerce stores, one of the most important tasks is finding relevant keywords for category and product pages. Relevance, ranking difficulty, and search volumeare critical factors to be considered while optimizing a page for keywords. Your keyword set should not be too broadly defined(read, highly-competitive). Broad matches will result in high bounce rates,and ultimately conversions. Therefore, your best bet is to go for long-tail keywords, especially if they tie in with your best-selling products. 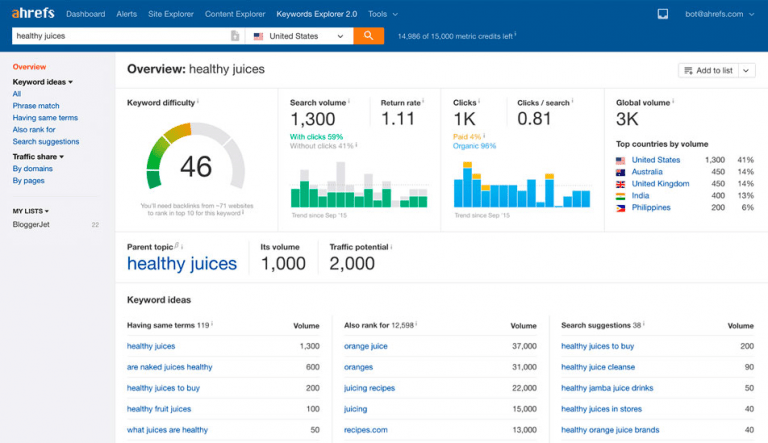 For example, if you want to sell juices, then instead of going for a short-head keyword like juice, you should choose distinctive keywords like ‘natural fruit juice’, ‘healthy orange juice’, etc. Shorter keywords will have high competition and make it hard for you to rank against established players, whilefocusing on niche-specific keywords can work in your favor. 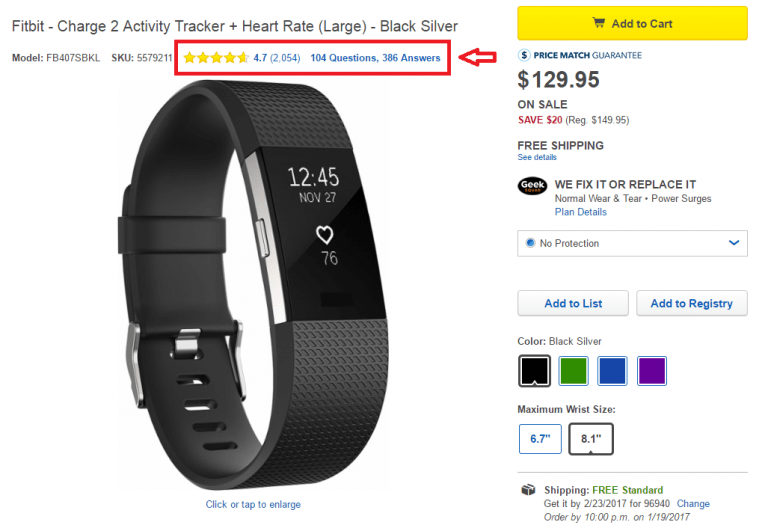 Product pages are the last page your visitor looks at before making a purchase. Therefore, they can make or break your sales. Keep in mind, though, that for ecommerce, a product page is not the same as a landing page. Amazon is the big daddy of super-optimized product pages, and you’ll find every one of the above elements on all their product pages. Products are the life blood of an ecommerce site. Therefore, your UX and copy should not only educate your customers, but also subtly exhort them to buy. Your UX should do the additional job of catching their attention and keeping them just long enough to click on that Buy button. Any SEO practitioner worth their salt will tell you that the title tag is one of the most important on-page elements of any page. When it comes to ecommerce, it is usually best to have your page title the same as your category or product name. If you’ve got your keyword research right, then creating the right title tags shouldn’t be much of a problem for you. Meta descriptions, however, are another animal altogether. They are your tweet-length substitute for ad copy, and can play a significant role in attracting visitors not only from Google search results, but also from social media pages (where they’re reproduced when you share them). 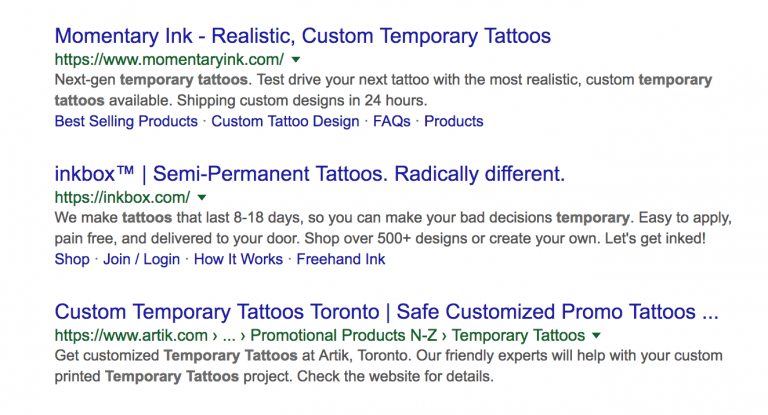 Enticing meta descriptions have the potential to attract more clicks for your site than those ranked above you, if you get them right. Without useful content, your category page is little more than a list of products. This adds little value to the page itself, and cannot help you beat your competitors for the super-important category terms. The age old debate of whether to highlight products or content on your category pages will never cease. However, most experts these days agree on the middle ground – put a couple of hundred words of content at the top of the page before you start displaying your products. This snippet of content of the top will let visitors identify for themselves where exactly they stand along the buyer funnel. Use it to introduce them to the category or sub-category, answer common questions, and help choose a product or two that best suits their needs. Then come your product listings – best headed by New Arrivals or Best Sellers in the category. Bear in mind: your products shouldn’t fall below the fold on your category page. That will kill your conversions faster than you can say “go.” Shoppers always need to (subconsciously) have those images of what they’re going to buy in front of them. 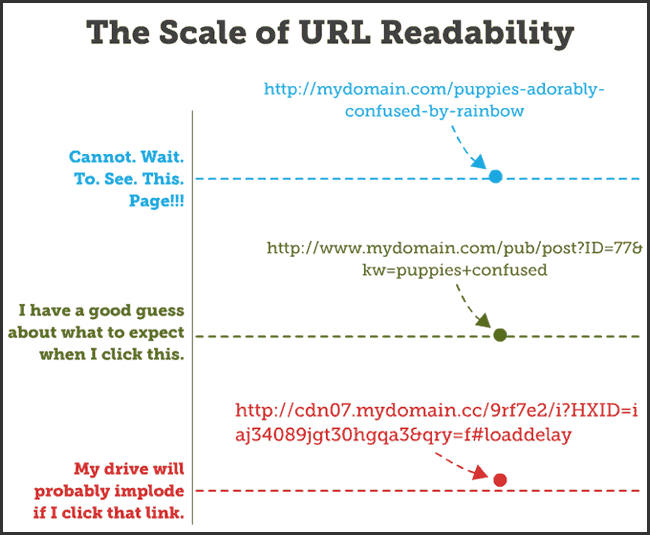 Unfriendly URLs are perhaps the biggest bane of ecommerce. Not only do they prevent Google from correctly and quickly crawling your site, but also put users off with their confusing and cluttered structure. An well-planned site architecture and information flow are fundamental to generating simple and friendly URLs down the line. If you find yourself looking at something that was encoded by the Enigma machine in World War II, then you know you have a bad URL. What is /product?SID=0B1gmCFsAUVsOZWtBSGFmZlVMNTg anyway?! If you can’t decipher it, how do you expect the search bot to? This will make your pages more accessible and crawlable by search bots. So off you go to your site and see if you have these critical SEO fundamentals in place! Once you solve for more technical issues like canonicalization, duplication, and schema, your site will see a definite jump in search rankings, be more visible in the SERPs, and bring you more revenue than ever. Remember, on-page SEO is only part of the solution. For all round ecommerce success and consistent growth in sales, you need an integrated digital marketing strategy consisting of competitive PPC, email marketing, an engaging social media presence as well as solid online reputation management. What challenges are you facing in doing SEO for your ecommerce site? Drop me a line in the comments. This was inspiring content. Thanks.